The 39-year old freed prisoner Rami Kayed Shkeirat passed away due to exposure to a stroke nearly a month after being released. The freed prisoner had spent 15 months in the prison of Bi’er Sheva as he was arrested on charges of an attempt to run over Israeli soldiers in Jabal Al-Mukabber police station at the end of 2012. The soldiers opened fire at Rami and injured him and he was then transferred to the hospital for treatment while being under arrest; note that he was only released 20 days ago. 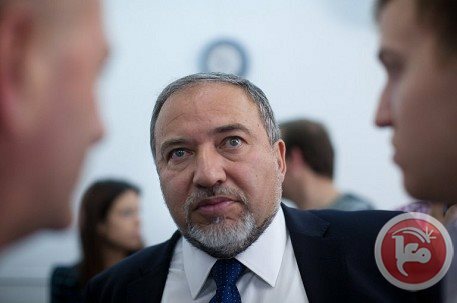 Israeli Foreign Minister Avigdor Lieberman on Wednesday brushed off world criticism and demands for an investigation into the deaths of two Palestinian youths killed by Israeli forces last week. "I reject any demand" for an international investigation, he told reporters on a tour of the West Bank settlement of Ariel. "Such an incident will be investigated regardless of any demand," he remarked, denouncing world criticism of the incident as "hypocrisy." His remarks came a day after calls by Washington and a top UN official for an immediate investigation into the circumstances of the two deaths after video footage emerged which appeared to show the shooting was unprovoked. 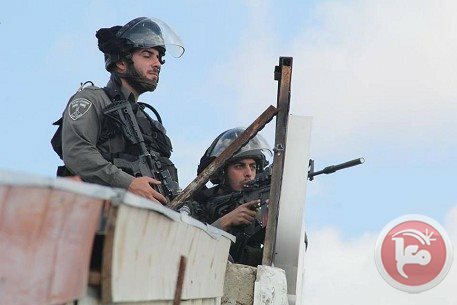 The closed-circuit footage, released on Wednesday by the NGOs Defense For Children International and B'Tselem, show separate incidents in which two youngsters were shot as they walked down the same street near Ramallah as Palestinians marked the 66th anniversary of the Nakba or "catastrophe" of being driven from their homes during Israel's creation. Although clashes were taking place in the area on that day, there is no visible evidence of ongoing unrest in the footage. The Palestinian leadership accused Israel of their "deliberate execution." 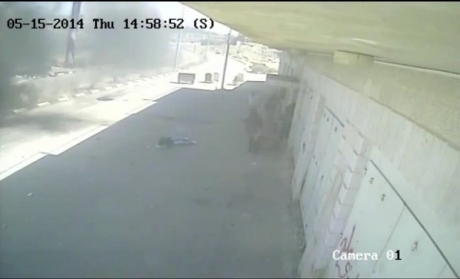 But the Israeli army dismissed the footage as having been "edited," and said it was investigating the incident. Late on Wednesday, US State Department spokeswoman Jen Psaki said Washington expected the Israeli government "to conduct a prompt and transparent investigation to determine the facts surrounding this incident." And Oscar Fernandez-Taranco, assistant UN secretary general for political affairs, called for an "independent and transparent" probe. He said it was "of serious concern that initial information appears to indicate that the two Palestinians killed were both unarmed and appeared to pose no direct threat." But Lieberman brushed off such calls. "We don't need an American demand" to launch an investigation, he said. "We will do it as part our commitment to the Israeli army's moral code." Israel has said that border police were operating in the area at the time to try to quell a violent demonstration by about 150 Palestinians, and denies using live bullets. But Palestinians say the youths were unarmed and posed no threat, accusing Israel of using "excessive and indiscriminate violence." In a separate development, the UN agency for Palestinian refugees on Wednesday published figures showing "a sharp increase" in the number of Palestinian refugees killed and injured by Israeli forces since the beginning of 2013. According to UNRWA, there has also been a big increase in the numbers of those injured by live ammunition in 2014, with 43 wounded this year compared with 10 in the same period in 2013. Israel's prime minister Avigdor Lieberman has refused the US administration's request to investigate into the videotaped cold-blooded killing of two Palestinian minors by Israeli soldiers on May 15 during Nakba Day protests near Ofer prison in Ramallah. "We have no need for an American demand to investigate what happened," Lieberman said during a visit to Ariel University in the West Bank, describing the Israeli army as the most ethical army in the world. Lieberman deplored the US request to investigate the incident. "I regret that these demands do not come out in other cases. In Syria, close to 170,000 people have been killed, and I did not see any action by the international community to investigate the murders." US state department spokeswoman Jen Psaki said Tuesday that her office asked the Israeli government for additional information about the videotaped incident and whether the soldiers’ use of lethal force was justifiable. A video recording of the incident was released recently showing two Palestinian boys were shot dead by Israeli sniper on Thursday near Ofer prison in Beitunia town in occupied West Bank. 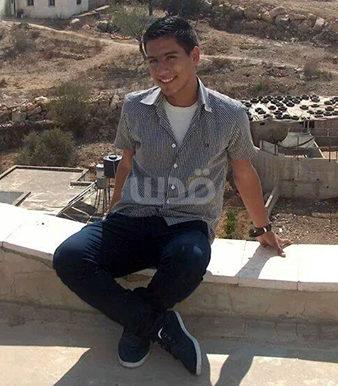 The US State Department on Tuesday called on Israel to investigate the killing of two Palestinian teenagers on May 15. 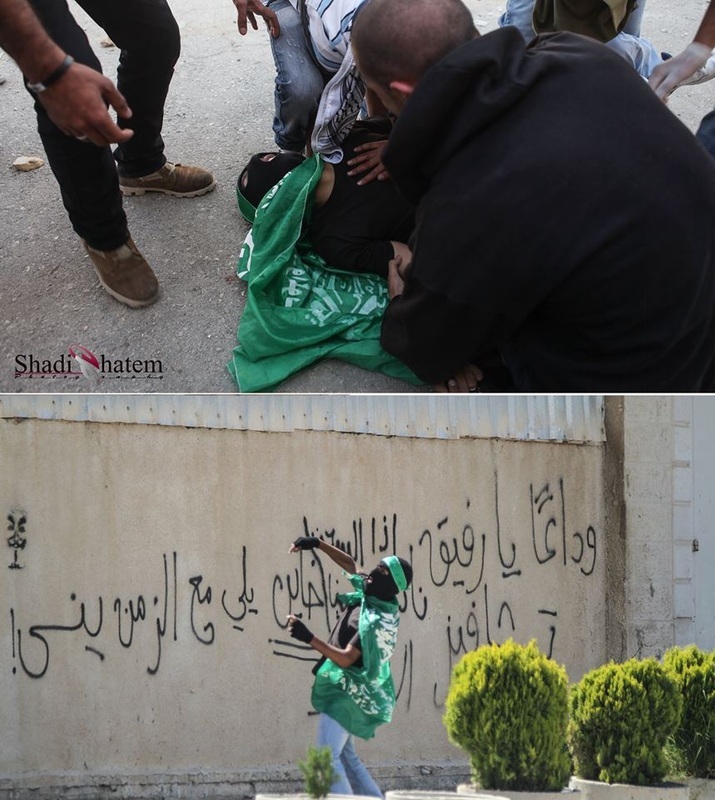 "We look to the Government of Israel to conduct a prompt and transparent investigation to determine the facts surrounding this incident, including whether or not the use of force was proportional to the threat posed by the demonstrators," State Department spokeswoman Jen Psaki told reporters. "We express, of course, our condolences to the families of those deceased and urge all parties to exercise restraint," Psaki said during a press briefing in Washington. The comments come after video footage emerged that seemed to show the deaths of 15-year-old Muhammad Audah Abu al-Thahir and 17-year-old Nadim Siyam Nuwarah during a demonstration near Ramallah on the anniversary of the Nakba. Rights groups and the PLO have said the boys were killed without posing a threat to the Israeli military, and that their deaths could amount to war crimes. "We are closely following this incident in the video. We're seeking additional information from the Government of Israel, so we certainly have been in touch," Psaki said. A senior Palestinian official on Tuesday accused Israel of the "deliberate execution" of two Palestinian teenagers shot dead by border policemen in a clash in the West Bank last week. "In the strongest possible terms, we condemn the deliberate execution of two Palestinian teenagers who were fatally shot with live ammunition outside Ofer prison last week," the PLO's Hanan Ashrawi said in a statement. "Both boys were unarmed and posed no direct or immediate threat." "Israel's use of excessive and indiscriminate violence and live ammunition at non-violent Palestinian demonstrations constitutes war crimes and crimes against humanity under international law," she said. A senior UN official called on Israel to carry out an "independent and transparent" investigation into the death of the teenagers. Oscar Fernandez-Taranco, the assistant UN secretary general for political affairs, also urged Israel to ensure that troops "strictly respect" guidelines on the use of force and firearms. The military said at the time that the border police had used "anti-riot means and rubber bullets" against a violent demonstration by about 150 Palestinians. 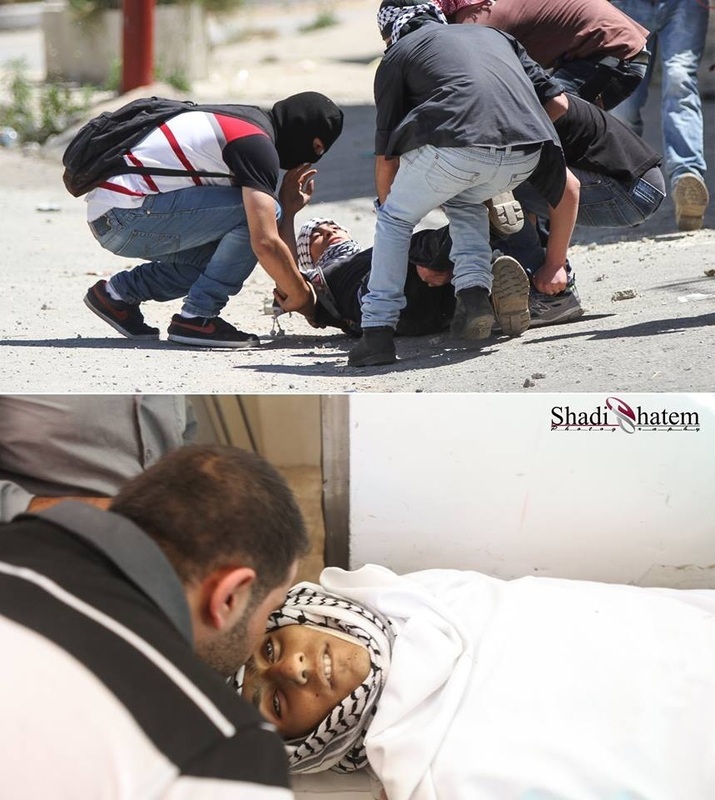 Defense for Children International Palestine has released what it said was CCTV footage showing the deaths of 15-year-old Muhammad Audah Abu al-Thahir and 17-year-old Nadim Siyam Nuwarah during Thursday's demonstration near the prison. The protest was to mark the 66th anniversary of the Nakba -- or "catastrophe" -- that occurred when Zionist militias drove out thousands of Palestinians from their homes and others fled in the conflict surrounding Israel's creation in 1948. The video is interspersed with an account of events by a Palestinian man. An Israeli army spokesman told AFP that video footage purporting to show the two being killed without provocation on Thursday had been doctored, a claim shared by the defense minister. "That film was edited and does not reflect the reality of the day in question; the violence," Major Arye Shalicar, an Israeli army spokesman, told AFP. The border police contingent was under the army's command at the time. "As part of our enquiry we have investigated whether there was live fire and we have not found that there was live fire," he said. "We are continuing with our investigation." Defense Minister Moshe Yaalon also spoke of doctored images and told journalists that Thursday's incident was "violent, during which stones and petrol bombs were thrown at police who, feeling threatened, acted as they should have." But Israeli rights group B'Tselem rejected the army's version and said late Tuesday that two other Palestinians aged 15 and 23 were also hit by live fire outside Ofer prison and wounded. B'Tselem said it had obtained video footage from four security cameras in the area showing that four Palestinians were shot last week by Israeli troops. It said it had "strong evidence that live ammunition was used (by the army) and that the fire hit the upper torsos of all four victims." "The investigation, compounded by security camera footage of the incident, indicates that the circumstances of the incident in no way justified use of live fire. These findings raise grave suspicion that the killing was willful." Amnesty International has denounced the army's "excessive" use of force in the Ofer incident. "The Israeli army and border police used excessive, including lethal, force in response to rock-throwing protesters who could not have posed a threat to the lives of the soldiers and policemen in or near the fortified military camp," the rights watchdog said last week. Ten years ago, the Israeli Shin Bet assassinated a prominent Hamas leader in the West Bank through poisoning his food , two veteran Israeli journalists disclosed. The Israeli radio said Tuesday that the Israeli journalists Yossi Melman, Dan Raviv released , recently, a new book in the US revealing that Israel failed to kill that leader by using heavy guns so it poisoned his food. The journalists kept the identity of this Palestinian anonymous, explaining that the operation took place after the failed attempt to poison Khaled Meshal, head of Hamas political bureau, back in 1997. The book is an updated version of their series Shadow Wars issued in 2012. A newly-released surveillance video showing the killing of two teenage boys, age 16 and 17, by Israeli troops during a demonstration last week contradicts Israeli accounts of the incident. 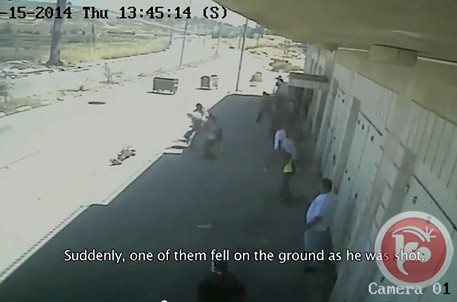 While the Israeli government claimed that the boys were throwing stones, the video clearly shows that neither they nor any other youth were throwing stones at the time the shots were fired. established itself as a state on what had been Palestine). But at the time of the shooting of the two boys, the protest was in a lull. The video shows one boy walking slowly, by himself, with no one around him and no protesters nearby, then falling to the ground with a fatal gunshot wound. A few minutes later, the second child is walking slowly, in nearly the same spot, when he , too, falls to the ground from a gunshot wound. The victims of the shooting were identified as 17-year-old Nadim Siam Nuwara, and 16-year-old Muhammad Mahmoud Odeh Abu al-Thahir. According to Defence for Children International, which obtained and released the video footage, the CCTV footage was captured by cameras mounted on the building where the incident took place, which is owned by Fakher Zayed. Israeli officials made no comment on the new video footage. The friends and classmates of a youth slain by Israeli soldiers during Nakba Day protests earlier this week held vigils to honor his memory in the central West Bank city of Ramallah on Friday. Crowds gathered to pay tribute to the life of 15-year-old Nadim Siyam Nuwara at Saint George's High School, at the headquarters of the First Ramallah Group scouting organization where he was a member, and at Manara square in the city center. Mourners held up pictures of Nadim in school and scout activities, and lit candles in his memory. 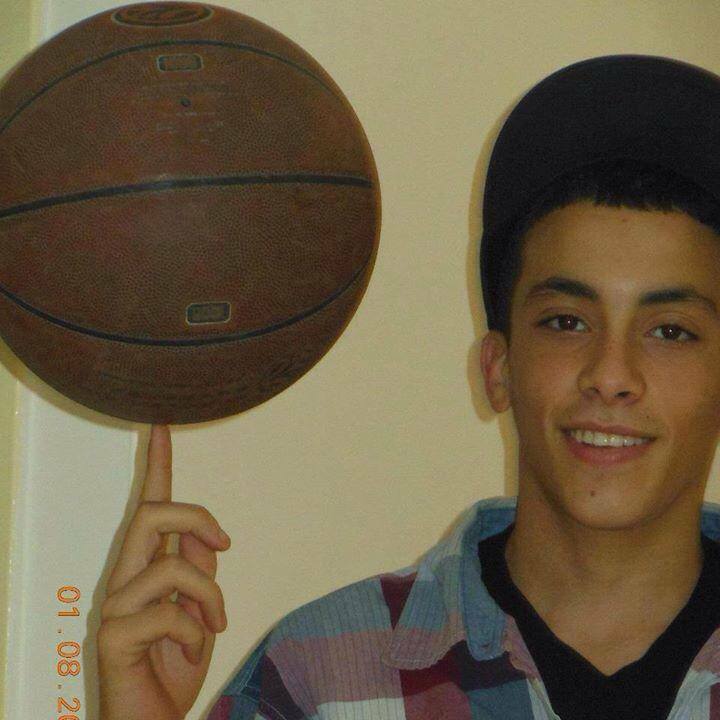 Saif Shomali, a friend of Nadim's who took part in a vigil, said that Nadim was a big fan of sports and a top athlete, and that he was a popular gymnast and a basketball player at his school. The interior ministry formed a committee to investigate the border police’s use of force against journalists and citizens who approached the border fence in Nakba protest. Spokesman for the ministry, Mr Iyad Buzum, said Friday in a statement that the committee will start probing into the incident on Saturday to find out what happened and bring the offenders to account. "We admit when we make mistakes and do not accept injustice whatever its source is; we promise to be always biased to the right and be at your side and live up to your good expectations,” Buzum said. 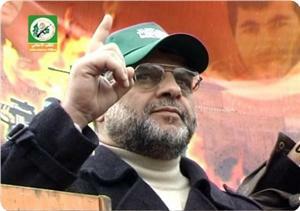 The interior minister, Dr Fathi Hammad, is a member of the committee, according to the spokesman. Head of the Border Forces Jamal al-Jarrah said in a facebook post that "there is no justification whatsoever for the assault on journalists," stressing that it is the duty of the security forces to protect journalists, not to attack them. Palestinian youths of “Intifada Youth Coalition” moved in tens to the eastern border of Gaza City in a protest to commemorate the 66th anniversary of Nakba and were faced by a police crackdown as they approached the fence. Thousands of Palestinians turned out on Friday to bury two youths killed by Israeli soldiers a day earlier during protests to commemorate the 66th anniversary of the Nakba, or "catastrophe," of the expulsion of 750,000 Palestinians in 1948. The bodies of Nadim Siyam Nuwara, 15, and Muhammad Audah Abu al-Thahir, 17, were brought to their final resting place in the villages of Abu Shukheidim and al-Mazraa al-Qibliya in the hills north of Ramallah. The two youths were shot directly in the chest while protesting near Israel's Ofer prison, located in the central West Bank near Ramallah. The funeral ceremony for the pair was held in the Petrol neighborhood between the two villages, where thousands prayed beside their bodies. The funeral march began at the Palestine Medical Complex where the two were pronounced dead by medical officials the day before. 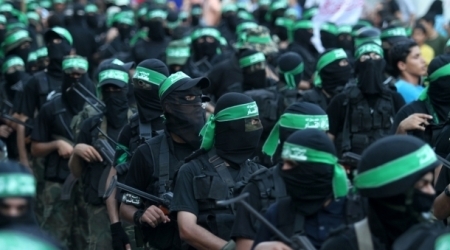 Thousands attended the march waving flags for both Hamas and Fatah, the two largest Palestinian political parties, and calling for "revenge for the blood of the martyrs." Following prayers, funeral processions set forth towards the youths' respective hometowns, where they were laid to rest in burial plots. As their bodies were lowered into the ground, a speaker called upon the crowd to ensure that the "blood of the youths not be wasted," and stressing the need for national unity to "respond to the crimes of the Israeli occupation." Speakers at the funeral called for the "need to expand the scope of the Palestinian resistance" in response to the "assassination of these two young boys" and calling for the "world to intervene by condemning the crimes of the Israeli occupation. 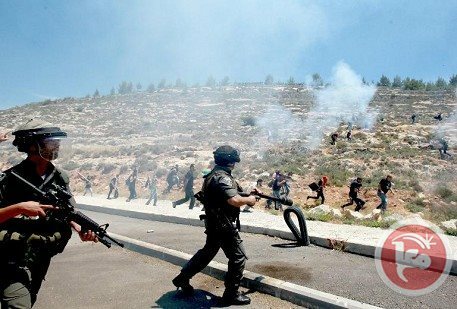 Nuwara and al-Thahir were shot dead during clashes that broke out near Ofer prison on Thursday, following protests in commemoration of the displacement by Zionist militias of the majority of Palestinians from their homes in what became Israel in 1948. Earlier reports gave older ages for the slain protesters, but Dr. Samir Saliba, head of the emergency department at Ramallah Hospital, told AP on Thursday evening that the two were younger than earlier reported. Israel has killed over 60 Palestinians since last July. 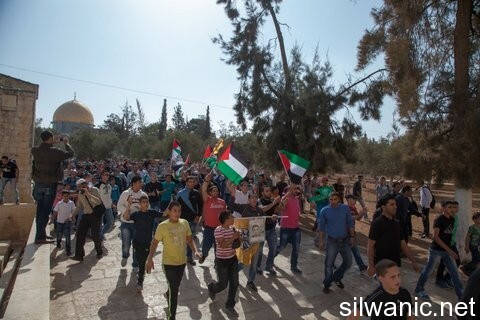 "The news that two Palestinians were killed during today's demonstrations is alarming. Israeli forces have repeatedly resorted to extreme violence to respond to Palestinian protests against Israel's occupation, discriminatory policies, confiscation of land and construction of unlawful settlements. The use of unnecessary and excessive force by Israeli forces against protesters in the occupied Palestinian territories, and in Israel, is unacceptable and must be stopped immediately," said Philip Luther, Director of the Middle East and North Africa Programme at Amnesty International. "The Israeli authorities must ensure that their forces act in a manner that respects and upholds human rights. 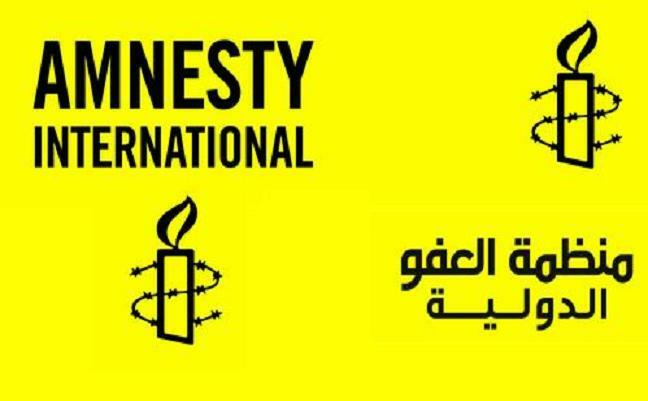 Amnesty International is calling for a prompt, independent, and transparent investigation into these deaths and injuries." 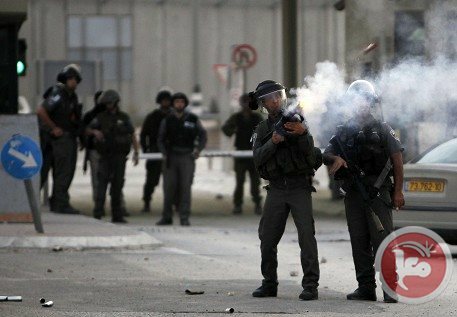 Amnesty International documented the repeated use of excessive force and unlawful killings of dozens of Palestinian civilians, including children, in the occupied West Bank over the past three years in its report Trigger Happy: Israel's excessive use of force in the West Bank, released in February 2014. Israel must uphold its obligations under international law to respect the right to life by adhering strictly to international standards on the use of force by law enforcement officials, and guarantee the right of Palestinians to peaceful assembly. They must also ensure the rights of victims of human rights violations, and their families, to full reparation. 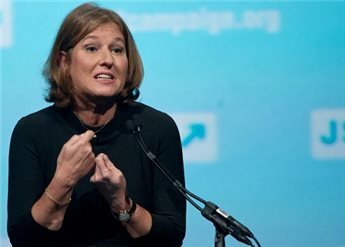 US Secretary of State John Kerry Thursday met with Israel's chief peace negotiator Tzipi Livni in London, just weeks after his relentless bid to broker a treaty with the Palestinians came screeching to a halt. 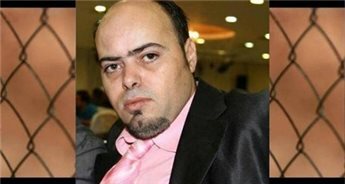 A Palestinian lawyer was found dead in his apartment, on Tuesday, after being tortured during a 45-day detention by Israeli forces, according to the Palestinian Prisoners’ Society. Amjad al-Safadi, aged 39, was beaten, shocked and put under continuous observation, leading to extreme psychological distress, ultimately pushing him to commit suicide, a statement by the organization said. 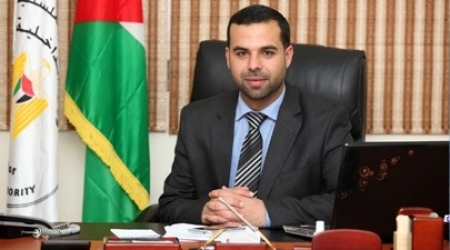 Head of the Committee of Jerusalem Prisoners' Families Amjad Abu Asab said, in March, that Israeli forces took al-Safadi into custody as he was visiting Hadarim prison, adding that they also raided al-Safadi's house, where they confiscated a computer and several documents. He was released from jail just five days ago, on bail of 20,000 shekels, upon which he was put under house arrest. He was found hanging in his Jerusalem apartment, early Tuesday. At Least 200 detainees are currently held under Administrative Detention orders. Palestinians across the globe would never forget the anniversary of Hamas's political leader Abdul Aziz al-Rantisi's assassination on 17 April 2004 in an Israeli airstrike. Palestinians on social media networks have revived the tenth anniversary of Abdul Aziz al-Rantisi's assassination by sharing his sayings and positions, where his pictures are still held in Palestinian universities, refugee camps and streets. Sondos Mustafa, a student at Birzeit University, told PIC reporter that despite his martyrdom yet al-Rantisi's resistance path and valuable lessons are still inherited from one generation to another. As all of Hamas's leaders, al-Rantisi was a good example of great leadership and sacrifice for the sake of Palestine, MP Mona Mansour said. He lived as a leader and died as a leader as he always wished, she added. He was a nightmare for the Israeli occupation, the citizen Zaid Abu Wahid said, recalling al-Rantisi's statements in which he stressed the effectiveness of armed resistance as the only option to liberate Palestine. Despite PA and Israeli security coordination, al-Rantisi's pictures are still held throughout West Bank villages, homes, and mosques along with pictures of great leaders such as the martyr Ahmed Yassin Yahya Ayyash, and Ahmed Jabari. The university student Khaled Mahdi, in his turn, confirmed that al-Rantisi's anniversary will always represent a source of hope and aspiration for Palestinian generations.